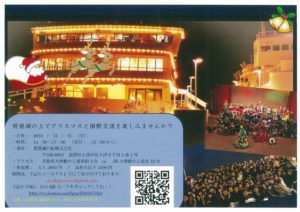 滋賀大学　国際交流団体CISによるクリスマスパーティーイベントのご紹介です。CIS Christmas cruise party ~Expand your world! 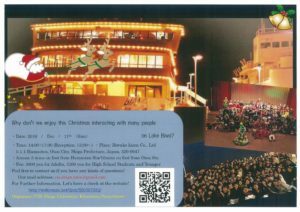 This is a notice of a Christmas cruise party held by a group of Shiga university. 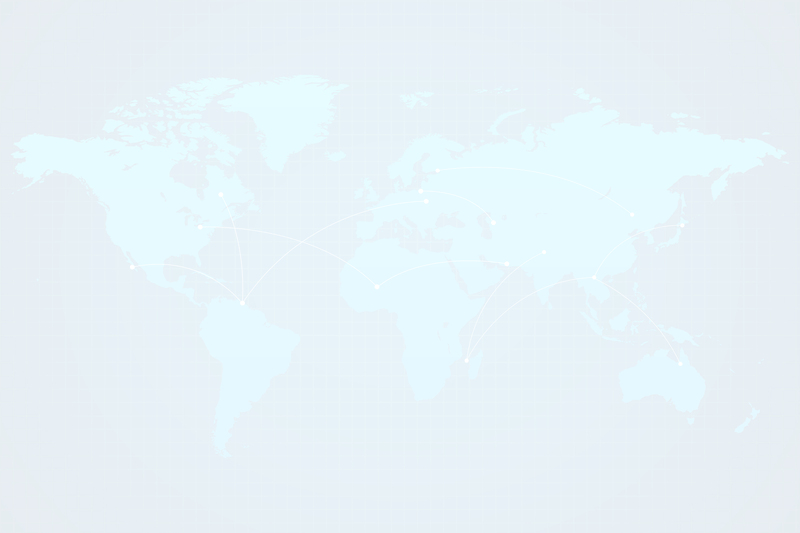 Please scroll downward to see information in English. Now, we are holding a cruise party! We are boarding the cruise of Biwako Kisen co., Ltd. The cruise’s name is Bianca. We will give you so much fun time!! 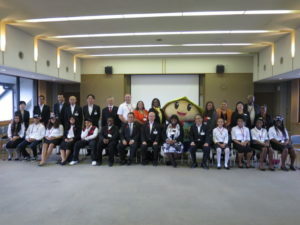 ※ From 13:00,We will start reception in front of the gate of the Biwako Kisen. We leave the port at sharp 14:00. So please do NOT be late. ※ The cruise won’t stop until 17:00, you will not be able to get off on the way in the period. Please make sure that you send your application form over the link below. Please bring the fee with you on the day.